9781634503013 | Reissue edition (Skyhorse Pub Co Inc, September 15, 2015), cover price $19.99 | About this edition: This collection of evidence-based instructional strategies enables general and special education teachers, novice or experienced, to address the learning needs of all students in diverse, inclusive classrooms. 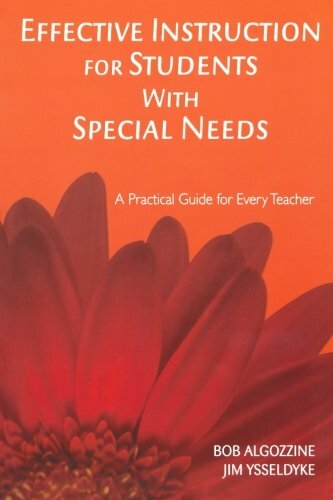 9781412914680 | 1 edition (Corwin Pr, April 6, 2006), cover price $76.95 | About this edition: This invaluable resource offers teachers in elementary and secondary schools a deeper understanding of "what works" when teaching students with disabilities in general education classrooms. 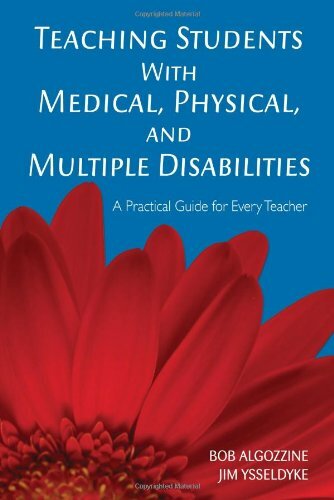 9781629146676 | Reissue edition (Skyhorse Pub Co Inc, September 9, 2014), cover price $14.95 | About this edition: Learn the best methods for teaching students with disabilities in an inclusive classroom! 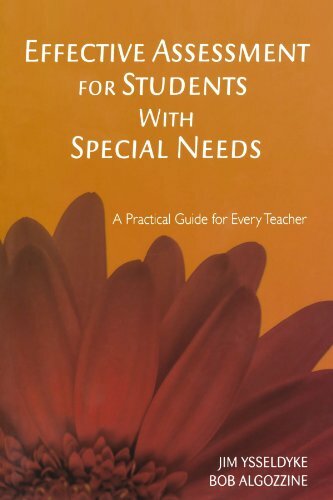 9781412914697 | 1 edition (Corwin Pr, April 6, 2006), cover price $39.95 | About this edition: This invaluable resource offers teachers in elementary and secondary schools a deeper understanding of "what works" when teaching students with disabilities in general education classrooms. 9780415626057, titled "Handbook of Effective Inclusive Schools: Research and Practice" | Routledge, May 16, 2014, cover price $310.00 | About this edition: Over the last decade, the educational context for students with disabilities has significantly changed primarily as a result of mandates contained in NCLB and IDEA. 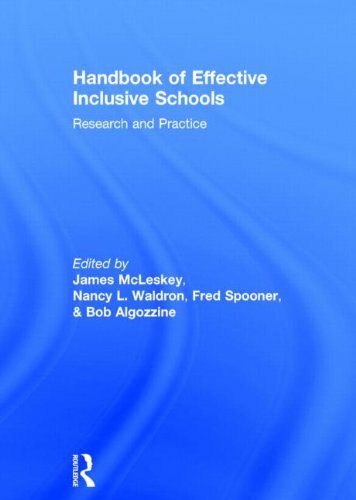 9780415626064, titled "Handbook of Effective Inclusive Schools: Research and Practice" | Routledge, May 14, 2014, cover price $124.95 | About this edition: Over the last decade, the educational context for students with disabilities has significantly changed primarily as a result of mandates contained in NCLB and IDEA. 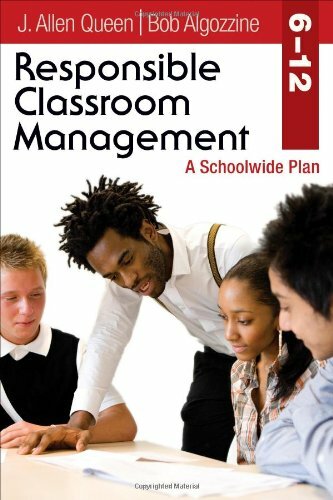 Product Description: This book provides everything needed to implement a team-based approach to schoolwide behavior management and reduce discipline problems in Grades 6â12. 9781412974134, titled "Responsible Classroom Management, 6-12: A Schoolwide Plan" | Corwin Pr, June 2, 2010, cover price $23.95 | About this edition: This book provides everything needed to implement a team-based approach to schoolwide behavior management and reduce discipline problems in Grades 6â12. Product Description: Written for Kâ5 principals and teachers, this all-inclusive resource introduces a nationally tested discipline plan that emphasizes a team approach to managing student behavior. 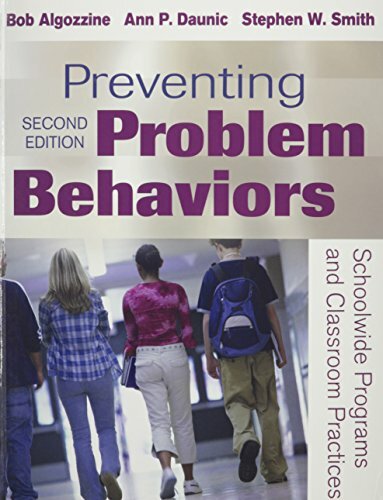 9781412973908 | Corwin Pr, April 26, 2010, cover price $20.95 | About this edition: Written for Kâ5 principals and teachers, this all-inclusive resource introduces a nationally tested discipline plan that emphasizes a team approach to managing student behavior. 9781412942393 | Corwin Pr, October 15, 2009, cover price $85.95 | About this edition: Boost academic achievement for all students in your inclusive classroom! 9781412942409 | Corwin Pr, October 15, 2009, cover price $38.95 | About this edition: Boost academic achievement for all students in your inclusive classroom! 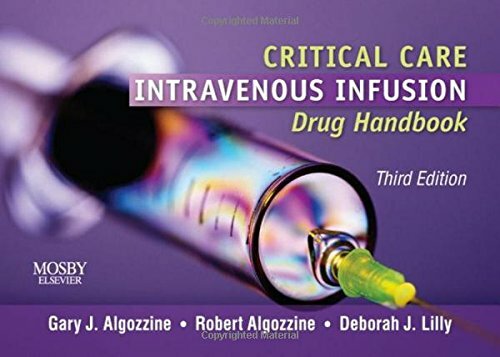 9780323066570 | 3 spi edition (Mosby Inc, April 6, 2009), cover price $53.95 | About this edition: Compact and easy to use, this handy reference focuses on the information you need to administer intravenous medications in critical care and emergency environments. 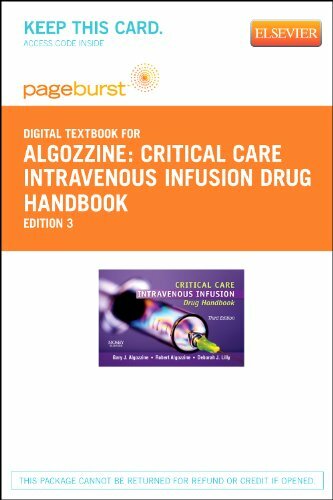 9780323031219 | 2 spi edition (Mosby Inc, December 23, 2004), cover price $40.95 | About this edition: This practical reference was developed to meet the needs of critical care and emergency nurses, physicians, and pharmacists in administering complex drugs given by IV infusion. 9780323019736 | Spiral edition (Mosby Inc, June 1, 2002), cover price $36.95 | About this edition: This practical, easy-to-use reference facilitates the administration of 39 of the most complex and common IV infusion drugs used in critical care. 9780323094955 | 3 pap/psc edition (Mosby Inc, April 6, 2009), cover price $53.95 | About this edition: Fully updated coverage includes the newest IV treatments with magnesium, conivaptan, potassium, and nicardipine, helping you provide the most effective care possible. 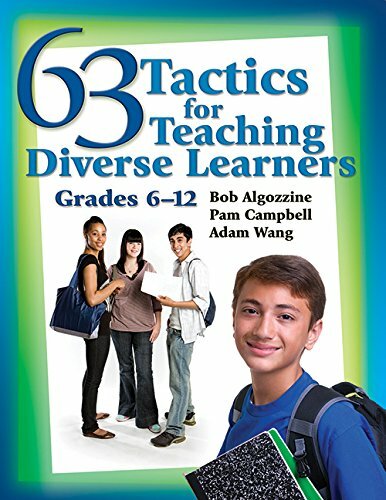 Product Description: This collection of 63 instructional strategies for teaching diverse secondary students includes teacher feedback, literature resources, and information for choosing appropriate strategies. 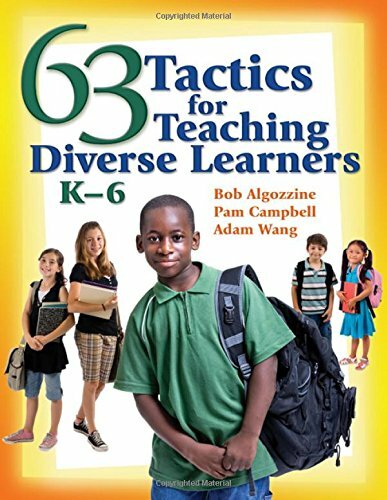 9781412942416 | Corwin Pr, March 17, 2009, cover price $80.95 | About this edition: This collection of 63 instructional strategies for teaching diverse secondary students includes teacher feedback, literature resources, and information for choosing appropriate strategies. 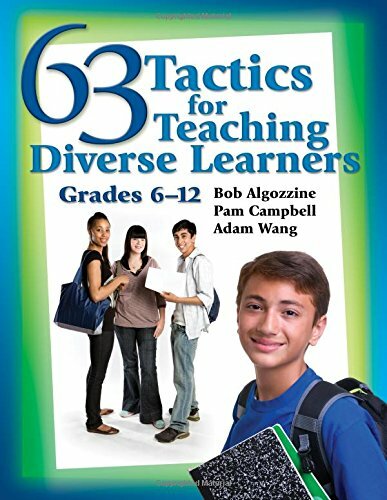 9781412942423 | Corwin Pr, March 17, 2009, cover price $36.95 | About this edition: This collection of 63 instructional strategies for teaching diverse secondary students includes teacher feedback, literature resources, and information for choosing appropriate strategies. 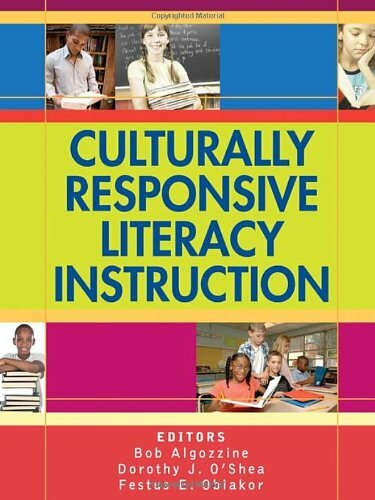 9781412960724 | Corwin Pr, August 20, 2008, cover price $72.95 | About this edition: A concise reference with essential protocols for successful early literacy coaching! 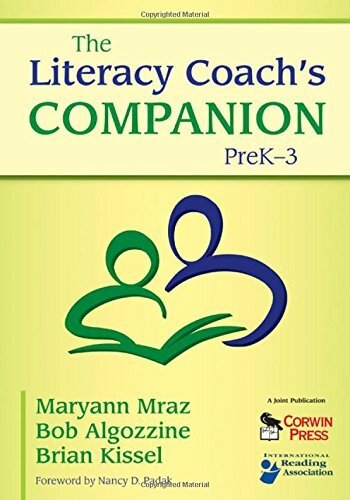 9781412960731 | Corwin Pr, August 20, 2008, cover price $29.95 | About this edition: A concise reference with essential protocols for successful early literacy coaching! Product Description: Improve reading achievement for students from diverse backgrounds with research-supported practices and culturally responsive interventions in phonemic awareness, phonics/decoding, fluency, vocabulary, and comprehension. 9781412957731 | Corwin Pr, October 23, 2008, cover price $85.95 | About this edition: Improve reading achievement for students from diverse backgrounds with research-supported practices and culturally responsive interventions in phonemic awareness, phonics/decoding, fluency, vocabulary, and comprehension. 9781412957748 | Corwin Pr, October 23, 2008, cover price $38.95 | About this edition: Improve reading achievement for students from diverse backgrounds with research-supported practices and culturally responsive interventions in phonemic awareness, phonics/decoding, fluency, vocabulary, and comprehension. Product Description: With a practical, research-based model, this resource offers proven instructional methods that can be used across content areas and grade levels for students with or without disabilities. 9781412942379 | Corwin Pr, October 14, 2008, cover price $72.95 | About this edition: With a practical, research-based model, this resource offers proven instructional methods that can be used across content areas and grade levels for students with or without disabilities. 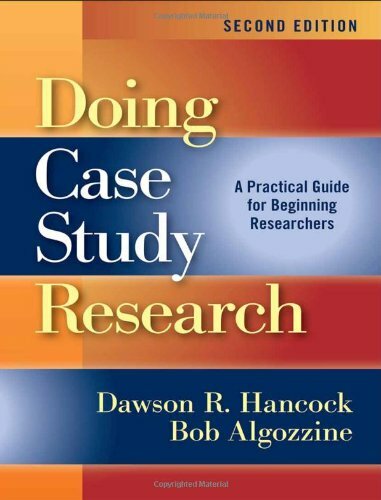 9781412942386 | Corwin Pr, October 14, 2008, cover price $31.95 | About this edition: With a practical, research-based model, this resource offers proven instructional methods that can be used across content areas and grade levels for students with or without disabilities. 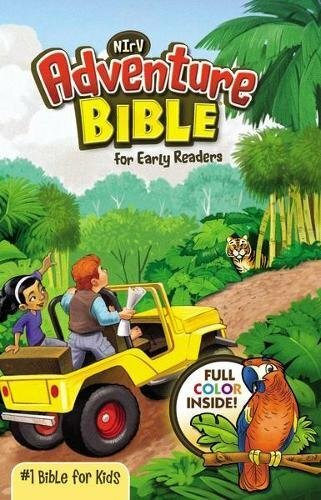 Product Description: Basic Early Literacy Skills provides all the resources necessary for educating readers from grades Kâ3. 9781412952859 | Corwin Pr, March 13, 2008, cover price $75.95 | About this edition: Designed for students of all levels, this hands-on guide offers research-proven strategies and structured lessons to teach essential skills for literacy success in Grades Kâ3. 9781616085841, titled "Strategies and Lessons for Improving Basic Early Literacy Skills: Strategies and Lessons for Improving" | Reprint edition (Skyhorse Pub Co Inc, August 1, 2012), cover price $14.95 | About this edition: Basic Early Literacy Skills provides all the resources necessary for educating readers from grades Kâ3. 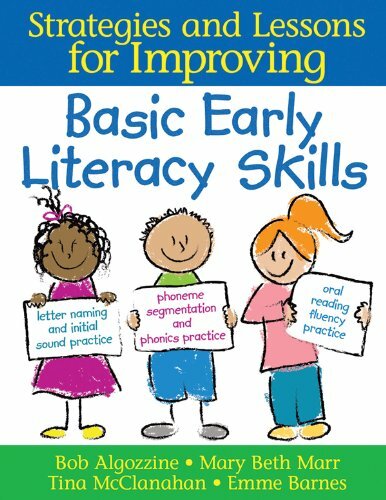 9781412952866 | Corwin Pr, March 13, 2008, cover price $38.95 | About this edition: Designed for students of all levels, this hands-on guide offers research-proven strategies and structured lessons to teach essential skills for literacy success in Grades Kâ3. 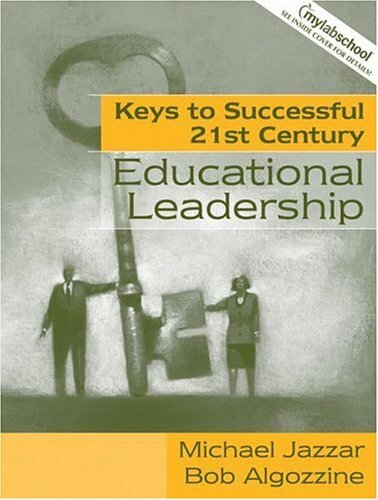 9780205473755 | 1 edition (Allyn & Bacon, July 31, 2006), cover price $68.00 | About this edition: Accessible, engaging, and highly acclaimed as the sole book of its kind, Keys to Successful 21st Century Educational Leadership presents critical lessons to transform individuals into visionary, ethical educational leaders. 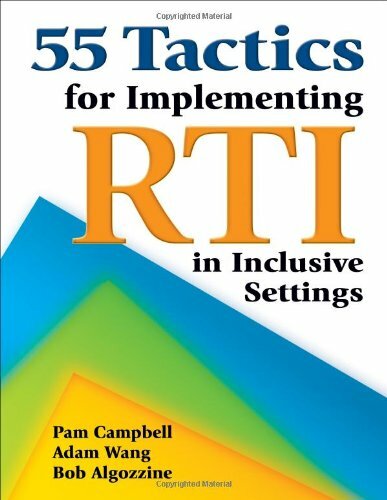 9781412939447 | Corwin Pr, March 21, 2006, cover price $56.95 | About this edition: Presents the key components of highly effective instruction and the accommodations and modifications that should be made for special-needs students. 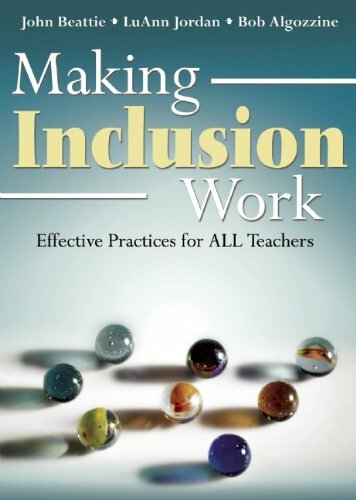 9781412938976 | Corwin Pr, March 21, 2006, cover price $22.95 | About this edition: Presents the key components of highly effective instruction and the accommodations and modifications that should be made for special-needs students. 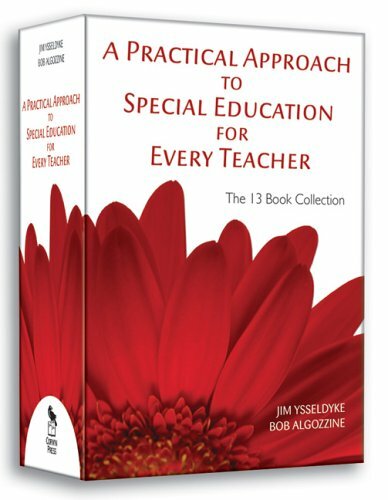 Product Description: This resource reviews the most influential laws affecting special education services and includes assessments to help readers evaluate their understanding of current legal practices. 9781412939423 | Corwin Pr, March 13, 2006, cover price $56.95 | About this edition: This resource reviews the most influential laws affecting special education services and includes assessments to help readers evaluate their understanding of current legal practices. 9781412938952 | Corwin Pr, March 13, 2006, cover price $22.95 | About this edition: This resource reviews the most influential laws affecting special education services and includes assessments to help readers evaluate their understanding of current legal practices. Product Description: Learn about assistive technologies, helpful adjustments to school and classroom environments, and effective instructional modifications specifically designed to support students with medical, physical, and multiple disabilities. 9781412939485 | Corwin Pr, March 23, 2006, cover price $56.95 | About this edition: Learn about assistive technologies, helpful adjustments to school and classroom environments, and effective instructional modifications specifically designed to support students with medical, physical, and multiple disabilities. 9781412939010 | Corwin Pr, March 23, 2006, cover price $22.95 | About this edition: Learn about assistive technologies, helpful adjustments to school and classroom environments, and effective instructional modifications specifically designed to support students with medical, physical, and multiple disabilities. 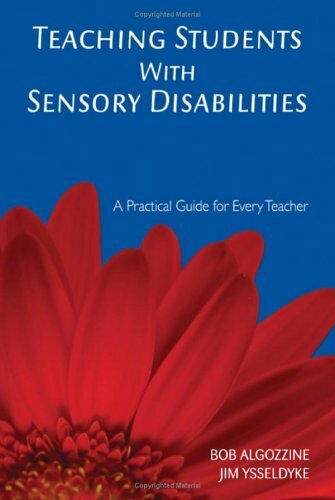 Product Description: This valuable resource offers teachers practical classroom management tips and provides highly effective instruction methods to foster independence in students with visual and hearing impairments. 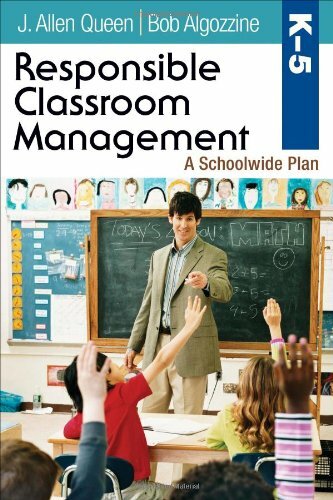 9781412939003 | Corwin Pr, March 24, 2006, cover price $22.95 | About this edition: This valuable resource offers teachers practical classroom management tips and provides highly effective instruction methods to foster independence in students with visual and hearing impairments. 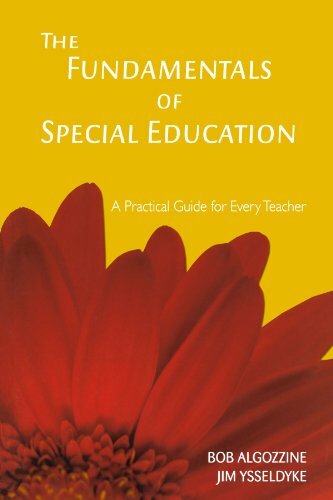 9781412939416 | Corwin Pr, March 13, 2006, cover price $46.95 | About this edition: A guide to the essentials of special education looks at various aspects of the field, from statistics and disability categories to appropriate learning environments. 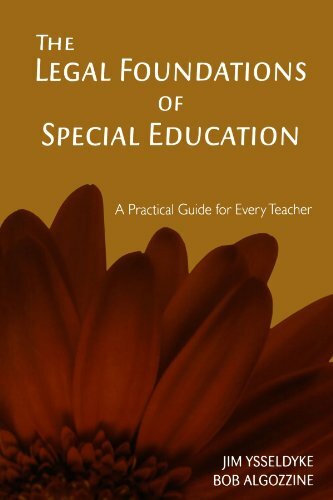 9781412938945 | Corwin Pr, March 13, 2006, cover price $22.95 | About this edition: A guide to the essentials of special education looks at various aspects of the field, from statistics and disability categories to appropriate learning environments. 9781412939515 | Corwin Pr, March 21, 2006, cover price $56.95 | About this edition: Show readers how to recognize the cognitive, academic, physical, communicational, and behavioral characteristics of several forms of emotional disturbance and offers specific strategies for responding to such problems as tantrums, disruptiveness, inattention, and task avoidance. 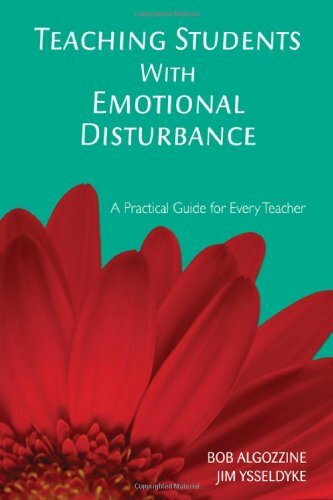 9781412939041 | Corwin Pr, March 21, 2006, cover price $22.95 | About this edition: Show readers how to recognize the cognitive, academic, physical, communicational, and behavioral characteristics of several forms of emotional disturbance and offers specific strategies for responding to such problems as tantrums, disruptiveness, inattention, and task avoidance. Product Description: This collection equips educators with practical knowledge and methods that will help them better engage students in exploringâand achievingâtheir fullest potential. Buy All 13 Paperback Books in Slipcase and SAVE 25%âOver $64! 9781412939072 | Slp edition (Corwin Pr, April 6, 2006), cover price $214.00 | About this edition: This collection equips educators with practical knowledge and methods that will help them better engage students in exploringâand achievingâtheir fullest potential. Product Description: Discover what assessment methods you should be using, and how, when, and where they should be administered to ensure appropriate services are selected for all exceptional students. 9781412939430 | Corwin Pr, March 21, 2006, cover price $56.95 | About this edition: Discover what assessment methods you should be using, and how, when, and where they should be administered to ensure appropriate services are selected for all exceptional students. 9781412938969 | Corwin Pr, March 21, 2006, cover price $22.95 | About this edition: Discover what assessment methods you should be using, and how, when, and where they should be administered to ensure appropriate services are selected for all exceptional students.